Sony’s chief executive, Kaz Hirai, has admitted that to date the PS Vita's sales have been at the ‘low end’ of what was expected. Speaking in an interview with the Wall Street Journal (spotted by CVG) at this year’s CES, Hirai remained positive towards Sony’s general position across its brands. When asked how he believed the PS Vita was doing, he admitted that sales were behind expectation but he also said that it takes 5-10 years before he can say if any product has been successful.“Long term is what is important,” he noted. 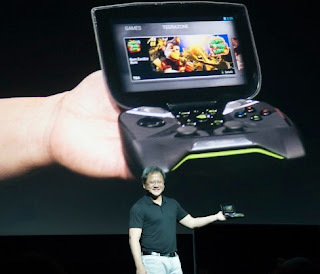 There have been plenty of competitors to the PS Vita with tablets and phones becoming increasingly popular over the last few years, but when it came to Nvidia’s recently revealed handheld, Project Shield, Hirai was less than optimistic. "It's difficult to break into [the handheld segment]," he said. "I've managed this industry, so I know."